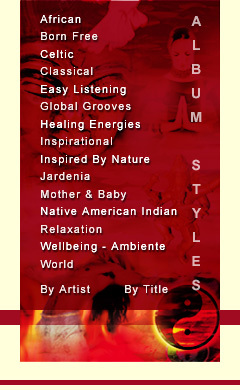 Authentic African rhythms and voices merge together with natural sounds in a celebration of pure ethnic joy and passion. 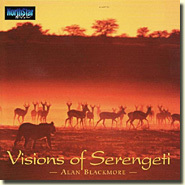 This memorable album, recorded live in Africa, provides the gateway to a vibrant and exciting musical journey. In addition to being a multi talented musician and percussionist, Alan is a true world traveller. Each year he spends up to six months travelling Europe - in particular the eastern block countries - and Africa working with and recording musician friends. In 2000 he and a colleague also sailed the Atlantic in a small yacht.